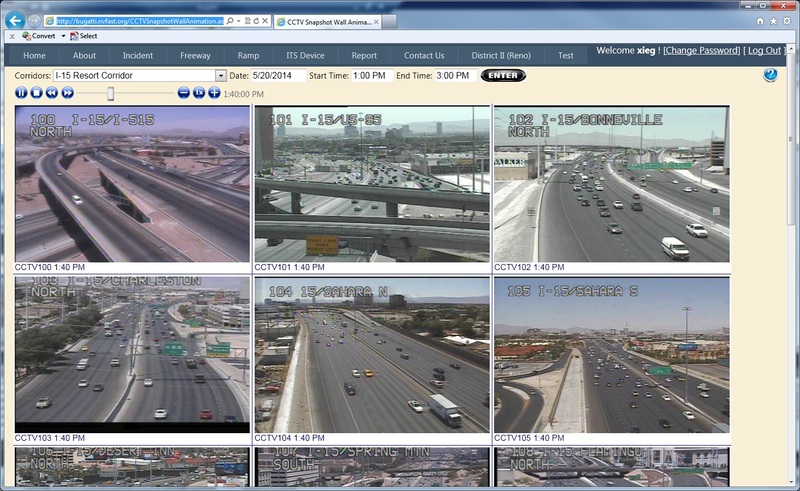 CCTV Snapshot Wall Animation web page is a useful tool to review the historical traffic condition of freeways, corridors or areas at a glance. 2. User can play/pause, stop, forward/backward frame by frame, adjust the animation speed, drag the slider to the specific time point using the VCR type tool bar. · The camera snapshots are archived at 5-minute interval. Some cameras might show "Image Not Available" due to the camera malfunction or communication problem.